My name is Boyd Byerly, and I have been in the San Antonio mortgage industry since 1999. Prior To entering the mortgage industry, I proudly served in the U.S. Air force from October 1985 through August 1992 in the field of financial management. I was a licensed Realtor from August 2, 2000 to August 31, 2002. My experience as a Realtor brings additional value to my mortgage clients, as I have in depth understanding of all sides of a real estate transaction. 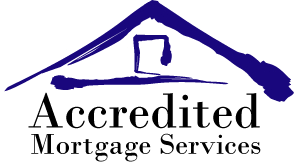 I entered the mortgage industry in 1999, and opened Accredited Mortgage Services in October of 2001. I have chosen to center on a very rewarding career path in the mortgage industry and have assisted thousands of borrowers over the years. Customer satisfaction is the most important thing to me, and getting my clients through the process smoothly is extremely rewarding. I am proficient in all types of mortgage financing including FHA, VA, Conventional, Jumbo, Reverse Mortgages, & Construction loans. When refinancing your home, or purchasing a new one, it is imperative that you align yourself with a residential mortgage loan originator, who will take your hand, and guide you through each step of the mortgage loan process with professionalism and integrity. My personal goal and intention is to inform my clients what they need to do in obtaining a new loan for a purchase or refinance. With the proper guidance, you will have established a well-executed plan to make that dream home purchase become reality. Allow my industry experience and resourcefulness the opportunity to work for you! Call us at (210) 949-1855 and speak with one of our mortgage bankers.